Consumers could save £2bn if the government rethinks plans for green subsidies, according to the power firm Drax. The savings would come in part from allowing biomass to be eligible for future subsidies. The company has converted around half its huge North Yorkshire coal power plant to run on biomass and is concerned about future subsidies. The government says it is already supporting the biomass industry. To encourage low carbon power generation, technologies like wind, solar power or biomass are subsidised. We pay for these green subsidies through our energy bills. It argues that when these hidden costs, or whole system costs, are taken into account, converting coal plants to run on biomass is the most cost-effective renewable generation available at scale. “Intermittent renewables like wind and solar are vital… but they need to be backed up by a constant supply of electricity that can be flexed up and down,” said Dorothy Thompson, chief executive of Drax. “Opening up energy auctions to include other renewables could save consumers £2bn and with more biomass in the mix energy security is also boosted” she added. The Department for Energy and Climate Change (DECC) is currently examining the issue of “whole system costs” of different energy technologies. Responding to a parliamentary question, the Energy Minister Andrea Leadsom said that DECC hoped to complete the work in the first half of 2016. “Once this project is completed DECC will be able to better quantify system costs to inform policy decisions,” she said. “Any future policy development, such as future renewable support, will be informed by the improved evidence base developed through this project”. But the renewables industry insists that wind and solar power help keep prices low for consumers. And it’s sceptical of claims that hidden costs add significant sums to our bills. “The additional costs of having variable generation on the system are low and for the most part renewable generators already pay these costs,” said Renewable UK’s director of policy, Dr Gordon Edge. “If we’re going to talk about system costs, then we also need to talk about the undoubted economic benefits that wind generators also bring,” he added. The government is planning three auctions for green subsidies in this parliament. The first, due later this year, will allow “less established technologies” including offshore wind, wave and tidal stream to compete for contracts. The technology used by Drax, which involves converting coal plants to burn wood pellets, is not eligible to take part in this auction, although other biomass projects are. 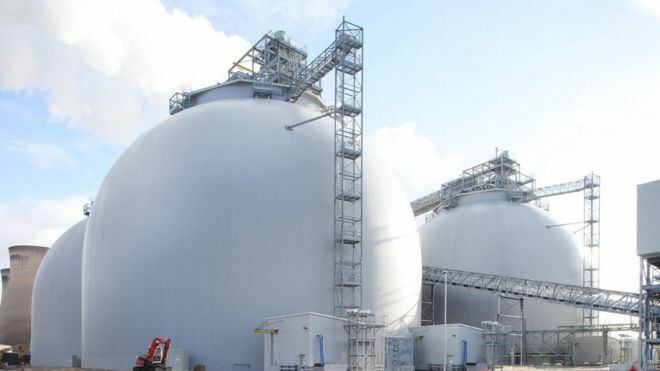 The company is currently awaiting EU state-aid approval for a previous government subsidy contract to convert a third unit at its North Yorkshire plant to run on biomass. In a statement a DECC spokesman said: “We are already supporting over 5GW of biomass technologies, providing nearly a quarter of our renewable electricity generation.